This collection of international research and collaborative theoretical innovation examines the socio-cultural contexts and negotiations that young people face when growing up in rural settings across the world. This book is strikingly different to a standard edited book of loosely linked, but basically independent, chapters. 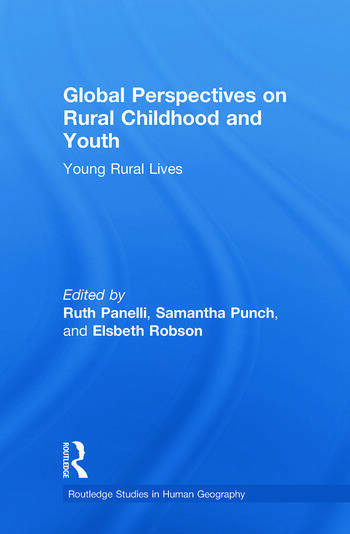 In this case, the book presents both thematically organised case studies and co-authored commentaries that integrate and advance current understandings and debates about rural childhood and youth. Ruth Panelli is Senior Lecturer of Geography at Otago University, New Zealand. Samantha Punch is Lecturer in Sociology at Stirling University, UK. Elsbeth Robson is Lecturer in Development Studies at Keele University, UK.